BRAND NEW! 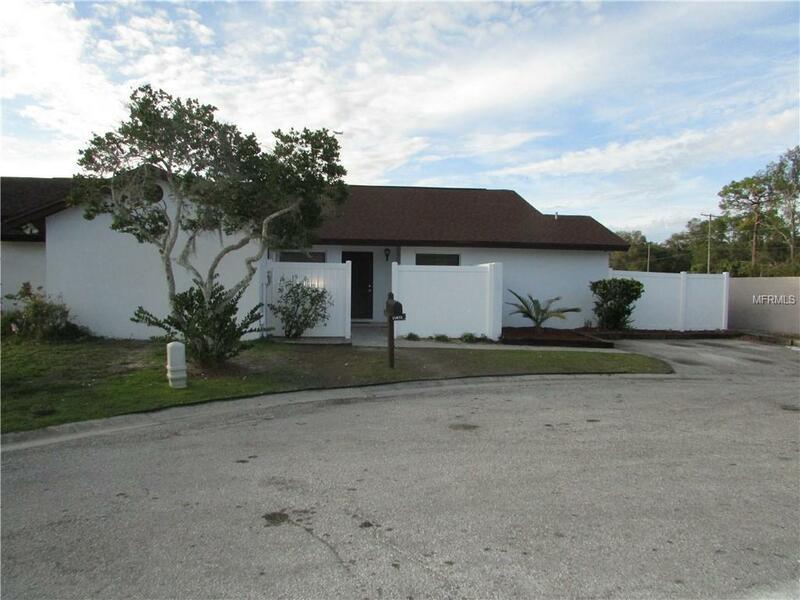 Come see this BEAUTIFULLY REMODELED and very spacious 2 Bedroom 2 full bath one story villa in highly sought after Carrollwood. NEW DESIGNER KITCHEN with stainless steel appliance package, custom wood cabinets & GORGEOUS Level 3 GRANITE. NEW FLOORING THROUGHOUT (beautiful WOOD - Laminate in living areas and carpet in both bedrooms); Brand NEW 30 year DIMENSIONAL ROOF; FULLY REMODELED BATHROOMS (with new granite counter tops new wood cabinets & new custom wall tiles in shower); NEW light fixtures throughout; NEW interior paint; New kitchen back-splash; It also boasts New sinks & faucets & tubs & toilets & window treatments. The property also has a nice size screened patio that is great for entertaining year round as well as a large storage room. This villa is an end unit which provides extra privacy and it is also located on a cul-de-sac. The subdivision has a recreational center, community pools, tennis courts, play ground and a walking/running/biking trails. FANTASTIC DESIRABLE LOCATION offering great schools, ample dining & retail options, and convenient access to all of Tampa and to the areas beautiful beaches!! UPDATED, UPGRADED, and MOVE-IN READY!!! Inventory of 1 story villas in Carrollwood is disappearing rapidly. So schedule your appointment to see it today.